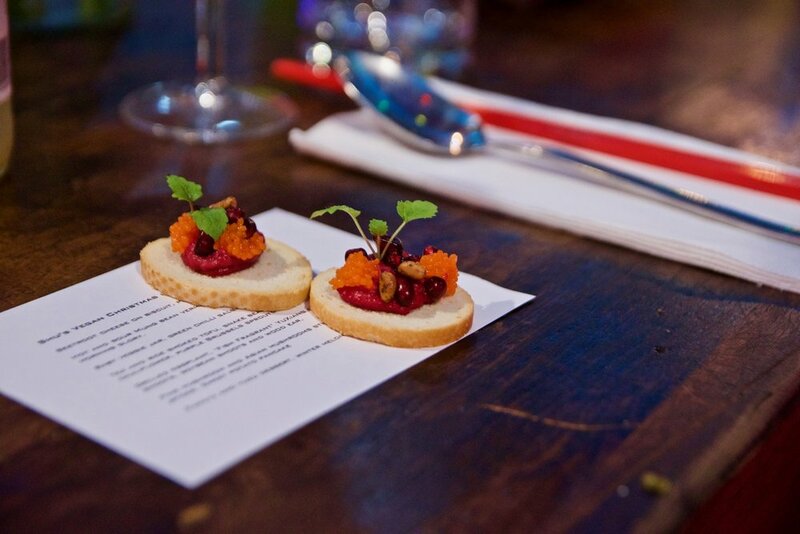 Gastrology recently attended a preview dinner of SHU’s highly anticipated Christmas in July Vegan degustation. 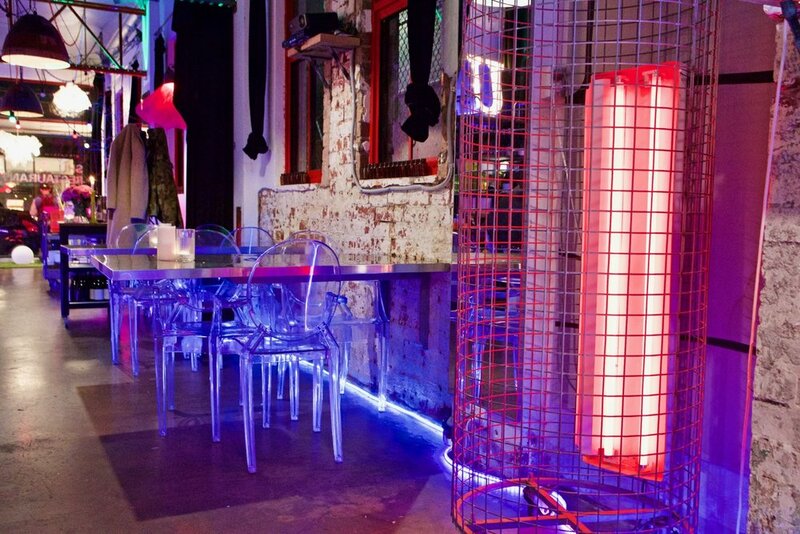 An intimate table of media were seated at a beautiful communal table. As we got cosy, the aroma of Sichuan chilli and pepper from the kitchen waft through the air, bringing a sense of what is to come – The very best Victorian winter produce prepared using modern Chinese cooking techniques and authentic Sichuan flavours. The menu featured a stunning selection of vegan dishes. Our favourites included the mouth-watering dish of hot and sour mung bean vermicelli noodle soup with chestnuts and morning glory, which beautifully balance spiciness and tartness to great effect. The fiery dish of Yu Xiang eggplant was similarly delicious. 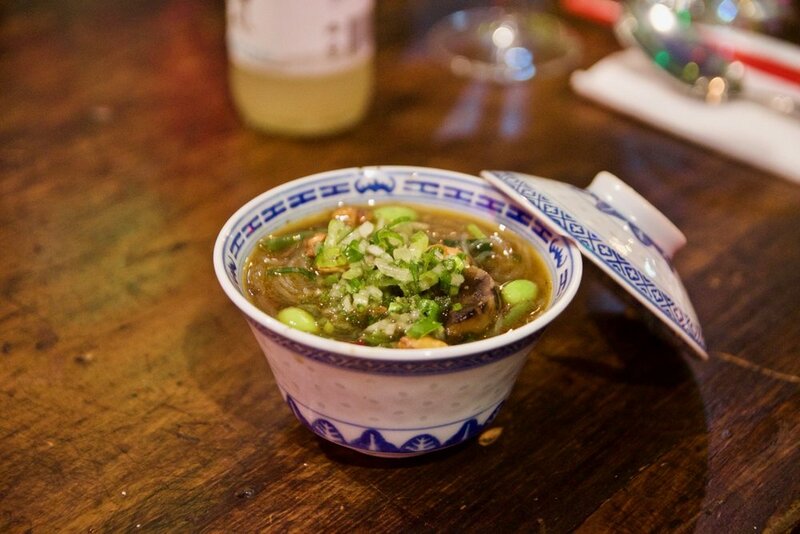 We loved the addictive chilli kick from the dish, the succulent texture of the eggplant combined with the garlic and soybean shoots and textural wood ear fungus. Simply delicious! The evening concluded on a sweet note with a moreish papaya and yuzu dessert topped with wintermelon sugar and fresh slices of sweet persimmon. 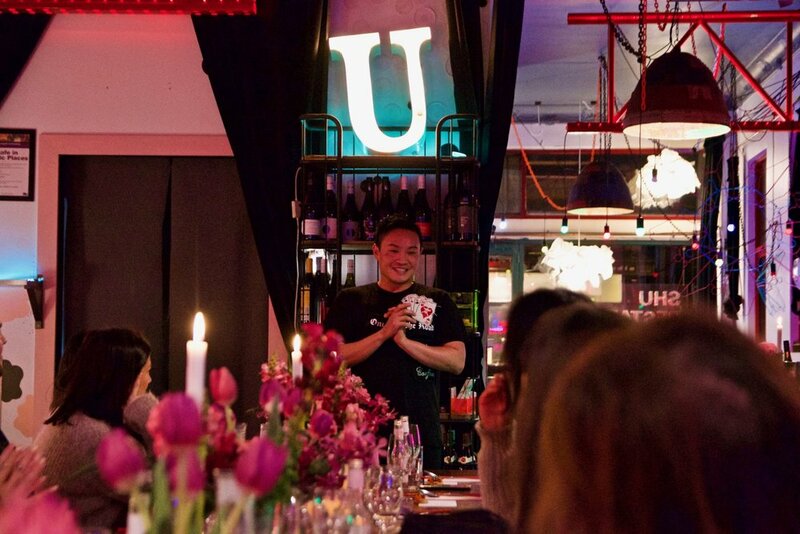 SHU's Christmas in July is set to be an inspiring combination of fiery Sichuan flavours and glorious Australian winter produce, set amidst the colourful silhouette of Collingwood. To book or to find out more click here.